Histamine has a variety of airway actions and is considered to be an important mediator in asthma. This study examined the role of endogenous histamine in allergic airway eosinophil recruitment and hyperresponsiveness using L-histidine decarboxylase gene knockout mice. Histamine levels of the airways in L-histidine decarboxylase knockout mice were largely diminished compared with wild-type mice. Inhalation challenge with ovalbumin (OVA) in OVA-sensitized wild-type mice caused eosinophil accumulation in the lung as well as airway hyperresponsiveness to methacholine 3 days after the challenge. The eosinophil recruitment was significantly reduced in the knockout mice. In the bone marrow, the proliferation of eosinophils was enhanced after OVA challenge in the wild-type mice; however, the proliferation was significantly reduced in the knockout mice. The induction of P-selectin in the lung after OVA challenge was also inhibited in the knockout mice. In contrast, airway hyperresponsiveness was not suppressed in the knockout mice. These results suggest that endogenous histamine is involved in the accumulation of eosinophils into the airways after allergic challenge, possibly acting in the bone marrow and producing P-selectin in the airways. Furthermore, allergen-induced airway hyperresponsiveness appeared to occur independently of airway eosinophilia in our present model. Keywords: asthma; histamine; airway inflammation; airway responsiveness. Histamine is considered one of the important proinflammatory mediators in the pathophysiology of bronchial asthma (1, 2). In an acute allergic reaction, histamine induces various responses resembling asthmatic symptoms, such as contraction of airway smooth muscle, vasodilation, plasma exudation, and mucus production, which are mainly mediated by histamine type I (H^sub 1^) receptors (2). Histamine has also been revealed to show some effects via two other types of receptors, namely histamine type 2 (H^sub 2^) and histamine type 3 (H^sub 3^) receptors (3). HZ receptor stimulation causes airway smooth muscle relaxation in some species (4, 5). H^sub 3^ receptor-mediated airway actions include the modulation of mediator release from mast cells (6) and the effects of neurotransmitter release from airway cholinergic and sensory nerves (7, 8). Until now, the net effects of histamine in the allergic airway responses have been speculated as enhancing the responses (9-11). This idea has mainly come from studies using specific histamine receptor antagonists. However, the precise role of histamine is still uncertain. Histamine is formed by the decarboxylation of histidine by L-histidine decarboxylase (HDC), stored in granules within mast cells and basophils and released when these cells degranulate in response to various stimulations, such as by IgE and cytokines (2). Recently, we have developed HDC knockout mice in which the levels of histamine in various tissues are much lower than those in wild-type mice (12). Because various kinds of mediators are released from inflammatory cells, including mast cells and eosinophils in the allergic reaction, the effect of each mediator must be clarified for a complete understanding of the molecular basis of the reaction. Research to dissect the reaction according to the effect of each mediator on the mediator-related symptoms forces us to use knockout animals, as the pharmacologic evidence using receptor antagonists and/or synthesis blockers could be compromised by unknown side effects. In this study, we clarified the effect of endogenous histamine on the eosinophil infiltration into the airway and the airway hyperresponsiveness after the allergic airway response using histamine-deficient mice generated by disrupting the histidine decarboxylase gene. For details on the following methods, see teh online supplement. HDC knockout mice of a 19Sv inbred strain were prepared as previously reported (12). Male mice at 8 weeks old were used throughout the studies. Nonsensitized mice were sacrificed. The isolated lung tissues were divided into two portions: the trachea and main bronchus and the lungs. The homogenized tissues were centrifuged, and the amount of histamine in the supernatant was determined by high-performance liquid chromatography (13). Mice were sensitized and challenged as in previous studies with modifications (14, 15). Briefly, mice were sensitized by an intraperitoneal injection of 0.5-ml solution containing 50 jig of ovalbumin (OVA) and 4 mg of aluminum hydroxide twice on Days 0 and 5. On Day 17, the sensitized mice were challenged with aerosolized saline or 0.5% OVA for 1 hour on two occasions 4 hours apart. In previous studies, because eosinophilic airway inflammation was more exaggerated at 3 days than at 1 day after OVA inhalation (14, 15), we evaluated at 3 days after the challenge. Serum IgE levels were determined with a commercially available ELISA kit (Yamasa, Chiba, Japan). Bronchoalveolar lavage was performed as described previously (14). Eosinophils were counted within the submucosal area all around the trachea, and the cell numbers were standardized by dividing by the length of the basement membrane. Eosinophils were counted in five contiguous sections for each trachea, and these numbers were averaged. Airway responsiveness was measured using a modified oscillation method as described by Bates and colleagues (16). Briefly, mice were anesthetized, and the trachea was canulated and connected to a computer-controlled small-animal ventilator (flexiVent; Scientific Respiratory Equipment Inc., Montreal, PQ, Canada) (17). Measurements of pulmonary resistance were made at baseline and after the administration of the increasing doses of acetyl-beta-methylcholine chloride (methacholine) given cumulatively (33-330 (mu)/kg). Tracheal tissues were mounted in organ baths and were connected with silk threads to force displacement transducers (UL-10GR; Minebea Co. Ltd., Tokyo, Japan) to measure the isometric changes in tension (18). We measured the tracheal smooth muscle reactivity to methacholine. Eosinophil cells in blood and bone marrow were counted according to the procedure described by Ohkawara and colleagues (14). Interleukin (IL)-5 levels in bronchoalveolar lavage fluid (BALF) were determined with a commercially available ELISA kit (ENDOGEN, Woburn, MA). The sensitivity of detection was 5 pg/ml. At 3 days after the challenge, we prepared lung protein extracts using the methods described previously (15). The lung protein extracts were electrophoresed and blotted onto hydrophobic polyvinylidene difluoride membrane and probed with a 1:5,000 diluted purified rat anti-mouse CD62P (P-selectin) monoclonal antibody (BD PharMingen, San Diego, CA). The secondary antibody was anti-rat IgG from rabbit-conjugated horseradish peroxidase (Dako Japan Ltd., Kyoto, Japan). Antibody binding was detected using ECL-plus (Amersham Pharmacia Biotech, Uppsala, Sweden). The membrane was photographed, and the signal intensity was quantified with densitometry. Data were exposed a mean +/- SEM. Multiple comparison of mean data among the group were performed by the Mann-Whitney U test or the two-way analysis of variance followed by Scheffe's F test. Probablility values of less that 0.05 were considered statistically significant. In the trachea and main bronchus, histamine levels in wild-type and HDC knockout mice were 75.1 +/- 23.2 and 0.23 +/- 0.05 nmol/ g, respectively (Figure 1A). In the lungs, histamine levels in wildtype and HDC knockout mice were 4.99 +/- 0.61 and 0.021 +/0.005 nmol/g, respectively (Figure 1B). These results indited that the histamine levels in the airway and the lung parenchyma were practically null in HDC knockout mice. Moreover, it was demonstrated that this enzyme is a unique histamine-synthesizing enzyme. The serum total IgE levels after OVA sensitization in wild-type (3,432.1 +/- 503.7 ng/ml) and HDC knockout mice (3,356.7 +/481.8 ng/ml) were significantly increased compared with those after saline sensitization in wild-type (103.7 +/- 51.5 ng/ml) and HDC knockout mice (100.3 +/- 54.8 ng/ml). There was no significant difference between the serum total IgE level in wild-type mice and that of HDC knockout mice after OVA sensitization (Figure 2). OVA challenge did not affect the tracheal smooth muscle contractility to methacholine (Figure 3B). Similarly, the HDC deficiency did not affect it (Figure 3B). These results indicate that the hyperresponsiveness of HDC knockout mice observed in the in vivo study was not due to the change in tracheal smooth muscle contractility to methacholine. In this study, we showed that endogenous histamine depletion by disrupting the HDC gene decreased eosinophil accumulation into the airways in allergic reaction. The evidence obtained using this allergic model suggests that endogenous histamine is an important mediator of airway eosinophilia in allergic reaction. We considered that there were several important relationships between endogenous histamine and eosinophil accumulation into the airways after allergen challenge. First, we observed that P-selectin was upregulated in the lung tissue of wild-type mice after allergen challenge but not in that of HDC knockout mice because histamine is known to induce expression of P-selectin (19-21). Also, P-selectin has been reported to be an adhesion molecule expressed in lung vascular endothelium (22) that is necessary for the rolling of eosinophils that leads to their tissue infiltration (23, 24).These results suggest that endogenous histamine increases airway eosinophil infiltration via a P-selectin-dependent pathway after allergic reaction. Second, the eosinophilia seen in the airways might be attributed to the increased proliferation of eosinophilic precursors in the bone marrow. In this study, the OVA challenge-induced increase in eosinophil cell counts in the bone marrow was significantly suppressed in the HDC gene knockout mice, indicating that endogenous histamine participates in the process of allergen-induced eosinophilopoiesis in the bone marrow. In previous studies, histamine has been reported to induce the proliferation of hematopoietic stem cells, including eosinophil progenitors in the bone marrow stem cells (25-27). Endogenous histamine may affect the airway eosinophil accumulation via Th2 cytokine-mediated mechanisms. In allergic reactions, the T lymphocyte profile shifts to Th2-type cells. Th2-- type cells release Th2 cytokines, especially IL-5, and are considered the most important cells for eosinophil infiltration into the airways (28). However, in this study, the IL-5 levels in BALF were not significantly different between wild-type and HDC knockout mice before and after the challenge. Therefore, IL-5 is not likely to be involved in the mechanisms of the decrease in the eosinophil accumulation into the airways by endogenous histamine depletion observed in this study. As another possibility, histamine depletion may affect eosinophil chemotactic factors, such as eotaxin, because Sato and colleagues recently reported that histamine stimulates eotaxin production at least in a human lung fibroblast cell line (29). In HDC-deficient mice, the eosinophil cell counts in peripheral blood were similar to those of wild-type mice despite the fact that eosinophil levels in bone marrow were reduced. This may be due to the reduction of eosinophil recruitment from blood vessels to the airways in HDC knockout mice possibly due to a P-selectin-mediated mechanism. Changes in IgE production may be involved in the mechanisms of the endogenous histamine depletion-mediated inhibition in airway eosinophil infiltration after allergic reaction because it has been reported that histamine increases IgE production via H^sub 2^ receptor and decreases its production via H^sub 1^ receptor (30). In this study, endogenous histamine depletion did not affect the serum IgE levels, suggesting that the net effect of endogenous histamine released after allergic reaction does not affect the IgE antibody production. Eosinophils in inflamed airways have been thought to be responsible for the airway hyperresponsiveness to bronchospastic agents (31). Eosinophil-derived toxic protein and lipid mediators such as major basic protein and leukotriene D^sub 4^ cause airway epithelial shedding, microvascular hyperpermeability, and airway smooth muscle contraction. All of these are factors that exaggerate the airway responsiveness. Because, in this study, endogenous histamine depletion by the HDC gene knockout significantly inhibited the airway eosinophil infiltration after allergen inhalation, we at first expected that the increase in airway responsiveness after allergic reaction would also be suppressed in HDC knockout mice. However, in this study, the same degree of allergic reaction-induced airway hyperresponsiveness to methacholine was observed in HDC knockout mice as well as in wildtype mice. Similar discrepancies between airway eosinophila and responsiveness have been reported in a number of studies (32-36). In this study, endogenous histamine depletion increased the baseline airway responsiveness to methacholine in vivo. Because the airway smooth muscle contractile response to methacholine in vitro was not different between wild-type and HDC knockout mice, the airway smooth muscle contractility itself cannot not account for the endogenous histamine depletion-induced airway hyperresponsiveness. HDC deficiency causes hyperreactivity to methacholine only in vivo but not in vitro. This may be due to a neural mechanism. Cholinergic neural bronchoconstrictor pathways have been reported to be modulated by histamine H^sub 3^ receptor (7, 8). Histamine depletion by HDC deficiency may enhance bronchoconstrictor response via the loss of H^sub 3^-mediated modulation. The histamine-induced inflammatory actions, such as airway smooth muscle contraction, microvascular leakage, and airway secretion, are mainly HI receptor mediated (2). In contrast, histamine has inhibitory effects on the airway smooth muscle contraction and inflammatory response via H^sub 2^ and H^sub 3^ receptors, modulating the mediator release from mast cells and nerve terminals (6-8). Taken together, the net effect of endogenous histamine on airway responsiveness may be inhibitory via H^sub 2^ and H^sub 3^ receptormediated mechanisms rather than via H^sub 1^ receptor-mediated pathways. Further studies are needed to clarify the role of each receptor-mediated pathway in the mechanisms of allergic airway inflammation. In this study, we used HDC knockout mice to elucidate the role of endogenous histamine in the allergic airway reaction. As shown in Figure 1, the total amount of histamine in the airways and lungs was practically 0 level in HDC knockout mice. Therefore, HDC knockout mice could be used as histamine-deficient mice in the pulmonary research field. Until now, the effects of endogenous histamine after allergic airway reaction have been mainly examined using pharmacologic receptor antagonists. De Bie and colleagues described the role of endogenous histamine after allergic response in a mouse model using H^sub 1^ and H^sub 2^ receptor antagonists (37). In their study, pretreatment with an H^sub 2^ receptor antagonist but not with an H^sub 1^ receptor antagonist significantly inhibited eosinophil infiltration into the airways and allergeninduced airway hyperresponsiveness. They concluded that endogenously released histamine after allergic reaction enhanced airway eosinophil infiltration and responsiveness via an HZ receptor-mediated pathway. Their evidence concerning the reduction of eosinophilia is compatible with our present results and may be considered to have clarified the histamine receptor subtype that is involved in the mechanisms of eosinophil recruitment into the airways after allergic reaction. Their conclusion concerning the responsiveness, however, is in conflict with our present result. Studies using pharmacologic antagonists could not exclude the possibility that there were nonspecific side effects as well as those resulting from the shorter duration of pharmacologic effects in animals. This may be the reason for the discrepancy between the study results obtained by De Bie and colleagues and ours. Ohtsu and colleagues showed that mast cells from HDC knockout mice contained less heparin and mast cell proteases (12). Therefore, we could not exclude the possibility that the lack of heparin in mast cells affected these results. Because heparin has been reported to inhibit the inositol 1,4,5-triphosphate-mediated pathway, the lack of heparin might be the cause of the airway basal hyperresponsiveness observed in HDC knockout mice in this study (38). In conclusion, we showed that endogenous histamine depletion by HDC gene knockout significantly inhibited eosinophil infiltration into the airways after allergic reaction. Histamine depletion also reduced P-selectin expression in the lung and suppressed eosinophil proliferation in the bone marrow. These data suggest that endogenously released histamine after allergic reaction exaggerates eosinophil accumulation into the airways by P-selectin expression and by acting in the bone marrow to stimulate eosinophil proliferation. Furthermore, endogenous histamine depletion enhanced the baseline airway responsiveness to methacholine but had no effect on the allergic reaction-induced airway hyperresponsiveness. Therefore, airway eosinophilia and hyperresponsiveness after allergic reaction seem to be mediated by distinct mechanisms in our present model. Acknowledgment: The authors thank Mr. Brent Bell for reading the manuscript. 1. White MV, Slater JE, Kaliner MA. Histamine and asthma. Am Rev Respir Dis 1987;135:1165-1176. 2. Barnes PJ, Chung KF, Page CP. Inflammatory mediators of asthma: an update. Pharmacol Rev 1998;50:515-596. 3. Hill SJ, Ganellin CR, Timmerman H, Schwartz JC, Shankley NP, Young JM, Schunack W, Levi R, Haas HL. International union of pharmacology: XIII: classification of histamine receptors. Pharmacol Rev 1997;49: 253-278. 4. Chand N, Eyre P. Spasmolytic action of histamine in airway smooth muscle of horse. Agents Actions 1978;8:191-198. 5. Chand N. Distribution and classification of airway histamine receptors: the physiological significance of histamine H2-receptors. Adv Pharmacol Chemother 1980;17:103-131. 6. Bissonnette EY. Histamine inhibits tumor necrosis factor alpha release by mast cells through H2 and H3 receptors. Am J Respir Cell Mol Biol 1996;14:620-626. 7. Ichinose M, Barnes PJ. Inhibitory histamine H3-receptors on cholinergic nerves in human airways. Eur J Pharmacol 1989;163:383-386. 8. Ichinose M, Stretton CD, Schwartz JC, Barnes PJ. Histamine H3-receptors inhibit cholinergic neurotransmission in guinea-pig airways. Br J Pharmacol 1989;97:13-15. 9. Taytard A, Beaumont D, Pujet JC, Sapene M, Lewis PJ. Treatment of bronchial asthma with terfenadine: a randomized controlled trial. Br J Clin Pharmacol 1987;24:743-746.
cetirizine, albuterol, and both together versus placebo in patients with mild-to-moderate asthma. J Allergy Clin Immunol 1995;96:174-181. 11. Busse WW, Middleton E, Storms W, Dockhorn RJ, Chu TJ, Grossman J, Weiler JM, Bronsky EA, Mansfield LE, Bell TD, et al. Corticosteroidsparing effect of azelastine in the management of bronchial asthma. Am J Respir Crit Care Med 1996;153:122-127. 12. Ohtsu H, Tanaka S, Term T, Hori Y, Makabe-Kobayashi Y, Pejler G, Tchougounova E, Hellman L, Gertsenstein M, Hirasawa N, et al. Mice lacking histidine decarboxylase exhibit abnormal mast cells. FEBS Lett 2001;502:53-56. 13. Yamatodani A, Fukuda H, Wada H, Iwaeda T, Watanabe T. Highperformance liquid chromatographic determination of plasma and brain histamine without previous purification of biological samples: cation-exchange chromatography coupled with post-column derivatization fluorometry. J Chromatogr 1985;344:115-123. 14. Ohkawara Y, Lei XF, Stampfli MR, Marshall JS, Xing Z, Jordana M. Cytokine and eosinophil responses in the lung, peripheral blood, and bone marrow compartments in a murine model of allergen-induced airways inflammation. Am J Respir Cell Mol Biol 1997;16:510-520. 15. Koarai A, Ichinose M, Sugiura H, Tomaki M, Watanabe M, Yamagata S, Komaki Y, Shirato K, Hattori T. iNOS depletion completely diminishes reactive nitrogen-species formation after an allergic response. Eur Respir J 2002;20:609-616. 16. Bates JH, Schuessler TF, Dolman C, Eidelman DH. Temporal dynamics of acute isovolume bronchoconstriction in the rat. JAppl Physio[1997; 82:55-62. 17. Schuessler TF, Bates JH. A computer-controlled research ventilator for small animals: design and evaluation. IEEE Trans Biomed Eng 1995: 42:860-866. 18. Garssen J, Van Loveren H, Van Der Vliet H, Nijkamp FP. An isometric method to study respiratory smooth muscle responses in mice. 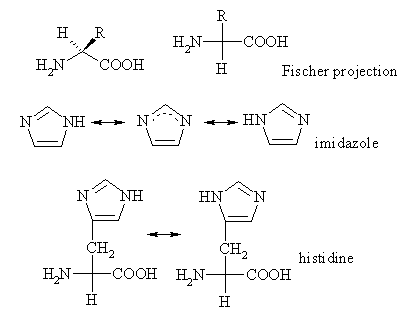 J Pharmacol Methods 1990;24:209-217. 19. Asako H, Kurose I, Wolf R, DeFrees S, Zheng ZL, Phillips ML, Paulson JC, Granger DN. Role of Hi receptors and P-selectin in histamineinduced leukocyte rolling and adhesion in postcapillary venules. J Clin Invest 1994;93:1508-1515. 20. Kubes P, Kanwar S. Histamine induces leukocyte rolling in post-capillary venules: a P-selectin-mediated event. J Immunol 1994;152:3570-3577. 21. Burns AR, Bowden RA, Abe Y, Walker DC, Simon SI, Entman ML, Smith CW. P-selectin mediates neutrophil adhesion to endothelial cell borders. Leukoc Biol 1999;65:299-306. 22. Pan LH, Yamauchi K, Sawai T, Nakadate T, Kojima Y, Takahashi N, Adachi K, Kameyama A, Inoue H. Inhibition of binding of E- and P-selectin to sialyl-Lewis X molecule suppresses the inflammatory response in hypersensitivity pneumonitis in mice. Am J Respir Crit Care Med 2000;161:1689-1697. 23. De Sanctis GT, Wolyniec WW, Green FH, Qin S, Jiao A, Finn PW. Noonan T, Joetham AA, Gelfand E, Doerschuk CM, et al. Reduction of allergic airway responses in P-selectin-deficient mice. JAppl Physiol 1997;83:681-687.
sion of P-selectin at low site density promotes selective attachment of eosinophils over neutrophils. J Immunol 2000;165:404-410. 25. Yi SN, Xu YH. The influence of histamine at various concentrations on the cell cycle state of hematopoietic stem cells (CFU-s). Int J Cell Cloning 1988;6:290-295.
poietic colony formation: a possible regulatory role for intracellular histamine. Acta Biol Hung 2002;53:299-306. 28. Foster PS, Hogan SP, Ramsay AJ, Matthaei KI, Young IG. Interleukin 5 deficiency abolishes eosinophilia, airways hyperreactivity, and lung damage in a mouse asthma model. J Exp Med 1996;183:195-201. 29. Sato E, Haniuda M, Numanami H, Ushiyama T, Tsukadaira A, Takashi S, Okubo Y, Koyama S. Histamine and serotonin stimulate eotaxin production by a human lung fibroblast cell line. Int Arch Allergy Immunol 2002;128:12-17. 30. Jutel M, Watanabe T, Klunker S, Akdis M, Thomet OA, Malolepszy J, Zak-Nejmark T, Koga R, Kobayashi T, Blaser K, et al. Histamine regulates T-cell and antibody responses by differential expression of Hi and H2 receptors. Nature 2001;413:420-425. 31. Strek ME, Leff AR. Eosinophils. In: Barnes PJ, Grunstein MM, Leff AR, Woolcock AJ, editors. Asthma, vol 1. Philadelphia: LippincottRaven Publishers: 1997. p. 399-417. 32. Corry DB, Folkesson HG, Warnock ML, Erie DJ, Matthay MA, WienerKronish JP, Locksley RM. Interleukin 4, but not interleukin 5 or eosinophils, is required in a murine model of acute airway hyperreactivity. J Exp Med 1996;183:109-117. 33. Henderson WR Jr, Lewis DB, Albert RK, Zhang Y, Lamm WJ, Chiang GK, Jones F, Eriksen P, Tien YT, Jonas M, et al The importance of leukotrienes in airway inflammation in a mouse model of asthma. J Exp Med 1996;184:1483-1494. 34. Tomkinson A. Cieslewicz Ci, Duez C, Larson KA, Lee JJ, Gelfand EW. Temporal association between airway hyperresponsiveness and airway eosinophilia in ovalbumin-sensitized mice. Am J Respir Crit Care Med 2001;163:721-730. 35. Denzler KL, Farmer SC, Crosby JR, Borchers M, Cieslewicz G, Larson KA, Cormier-Regard S, Lee NA, Lee JJ. Eosinophil major basic protein-I does not contribute to allergen- induced airway pathologies in mouse models of asthma../ Immunol 2000;165:5509-5517. 36. Denzler KL, Borchers MT, Crosby JR, Cieslewicz G, Hines EM, Justice JP, Cormier SA, Lindenberger KA, Song W, Wu W, et al. Extensive eosinophil degranulation and peroxidase-mediated oxidation of airway proteins do not occur in a mouse ovalbumin-challenge model of pulmonary inflammation. J Immunol 2001;167:1672-1682. 37. De Bie JJ, Henricks PA, Cruikshank WW, Hofman G, Jonker EH, Nijkamp FP, Van Oosterhout AJ. Modulation of airway hyperresponsiveness and eosinophilia by selective histamine and 5-HT receptor antagonists in a mouse model of allergic asthma. Br J Pharmacol 1998;124:857-864. 38. Chilvers ER. Challiss RA, Willcocks AL, Potter BV, Barnes PJ, Nahorski SR. Characterisation of stereospecific binding sites for inositol 1,4,5trisphosphate in airway smooth muscle. Br J Pharmacol 1990;99:297302.